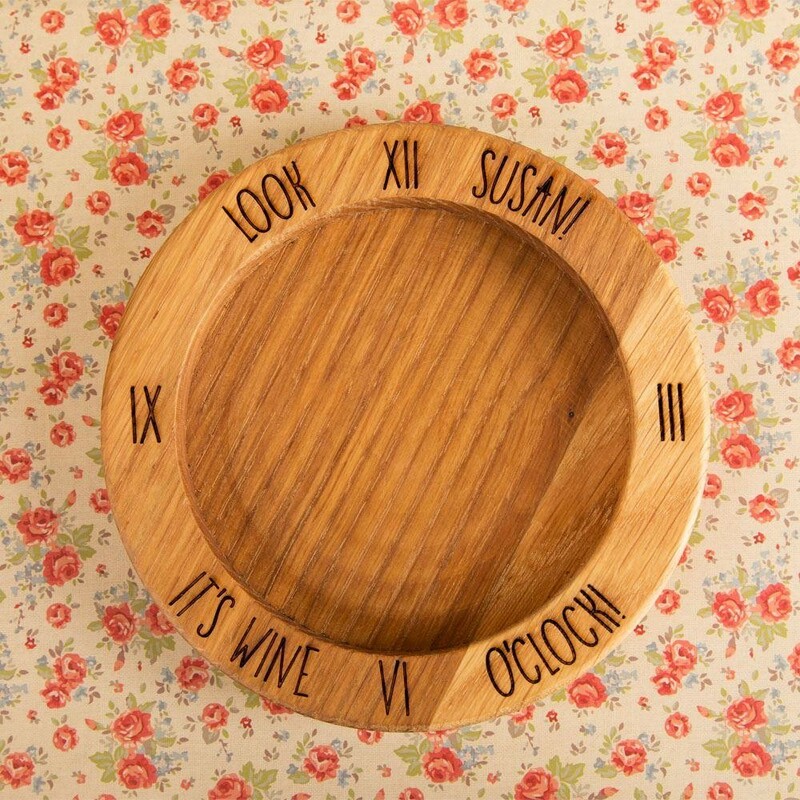 Our laser engraved oak wine bottle coaster is complete with the recipient's name and a quirky saying; “Look, it's wine o'clock!”. 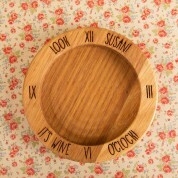 The classic design features Roman numerals, mimicking a clock face. 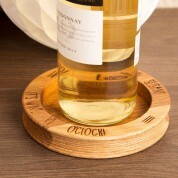 The coaster is a practical and fun place to keep your bottle of wine, and will save any drips or spillages on your furniture. It makes a classy addition to the dinner table when entertaining guests. It's a unique gift idea for any occasion – birthday, Christmas, new home, or anniversary! 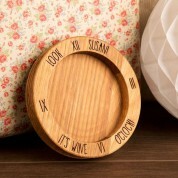 Each coaster is made of natural oak wood. The grain and colour of wood may vary from the images shown. Dimensions: 13.5cm outside diameter, 10cm inside diameter.